Recently, as I coached a leader, we discussed how difficult life had been during the past year but was now on the upswing. I then asked her to reflect on what had made the past year so tough and why the present was different? The leader is involved currently in something that is very new and exciting, and she is passionate about it. So I asked the question, “How much of a difference is your improved situation tied to your involvement in something that you’re passionate about and is new and exciting?” The leader was quick to point out that although this new and exciting thing did help, it was not as big a reason as one might think. The leader further explained that if she failed to deal directly with the root causes of the difficulties of the past year, processing them to a healthy place, she would only be using this new and exciting venture to mask the pain, anger and depression she was experiencing. As I listened to her response, I wondered how many leaders have experienced significant pain, anger and depression only to mask it with something new and exciting that ignites their passion? For one reason or another, I have moved numerous times in my life. But I recall moving one time to something I thought was new and exciting. In retrospect I realized the move had more to do with masking my pain, anger and depression. It took me some time to work through the pain, anger, and depression that led to that move, but thank God I have done so. If you have been emotionally wounded, angry and depressed seek professional help. A good counselor will help you process the cause of the hurt and get you to a place where you are no longer controlled by the hurts. Instead, you will control how you respond. Get a coach to come alongside you to help you identify and achieve your goals. Coaching is not the same as counselling. Your counselor will help you explore the cause and depth of your hurt, anger and depression, and ways to overcome them. The coach’s role is to help you set, clarify and achieve your goals in every area of your life. When in a place of emotional pain, anger, and depression, it is extremely important to eat well, get adequate sleep, exercise regularly, and attend to your spiritual life. I know from both personal experience and my work with people that self-care is usually the first area we neglect when we are hurt, angry, and depressed. Have you dealt with the pain, anger and depression in your life? Or are you been masking it with something new and exciting that you are passionate about? Most people may not notice it. They may even see it as advancement, or you trying to better yourself. 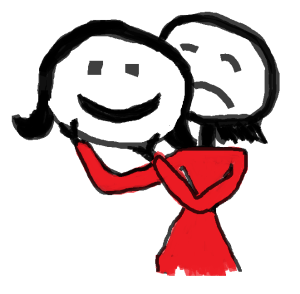 But only you know the truth, it is a mask for the pain, anger, and depression you are experiencing. If you have been masking your pain, anger and depression, you are urged to start the unmasking process today by applying any of the suggestions above.